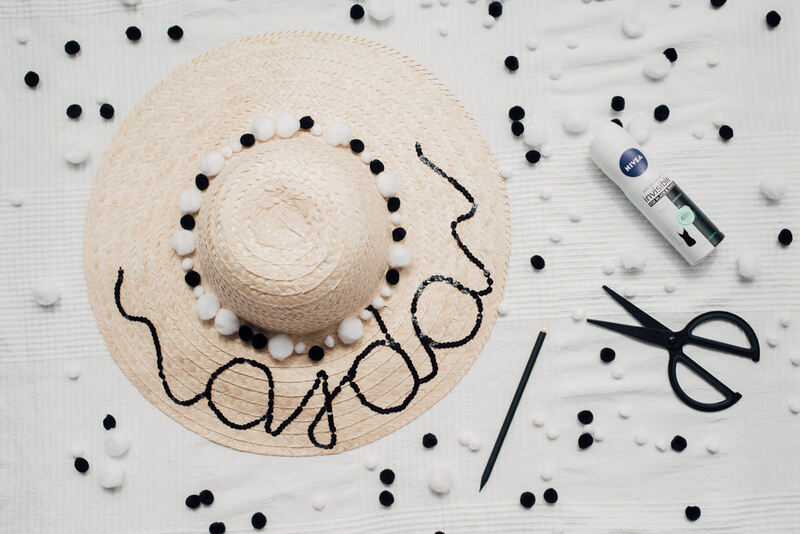 I am ending my NIVEA collaboration with an interesting DIY tutorial – a DIY sequinned pom-pom text sunhat. These are definitely one of the biggest trends right now. Not only that they are highly practical, protecting your head and eyes from harsh UV rays, they can also be a great summer accessory that will spice up your look. How to refresh you style with a single statement piece, you can discover here; while an interesting mani can also be the way to add some uniqueness to your look (more about a really easy and simple geometrical nail art tutorial here). A trendy hat tutorial to finish off my NIVEA trilogy inspired by the newest campaign for NIVEA Invisible for Black & White Fresh deodorants. 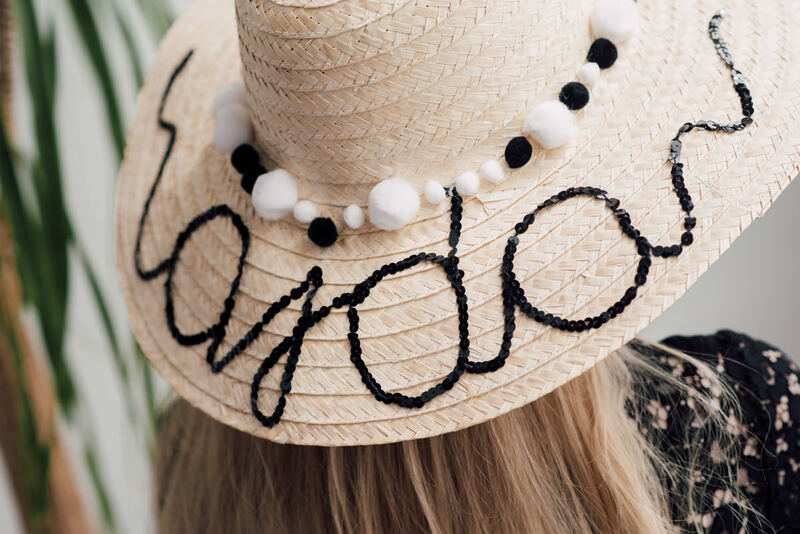 How to create this DIY sequined pom-pom text sunhat, you can check it out HERE.